When homeowners think of pest infestation, it is likely their families safety is the first thing that comes into mind. Even a small pest problem can be problematic as if it is untreated, things tend to spiral out of control quickly. It makes sense, then, that pest treatment should start right away and pesticide chemicals should be applied liberally, right? The problem with this logic, however, is that frivolous use of pesticide chemicals can be an equal or greater safety concern than the pests themselves. This is why homeowners must take great care in treating their homes with these potentially dangerous chemicals. In this article, we will outline what pesticides are and the general uses, as well as the process by which they are safely applied in and around your home. The over the counter pesticide chemicals typically fall into one of two categories. There are insecticides, used to kill insects, and rodentcides, for rodents and mammals. Just as the two chemical pesticides have different uses in terms of the type of intruders they stave off, each category of pesticide also has different safety concerns. Rodentcides come in a solid bait form. The most common issue assimilated with the rodent pellet occurs when dogs, cats, other household pets, and even small children mistake this pesticide for food. Insecticides, on the other hand, are applied in a spray form. Poisoning from this type of pest control product occurs when someone absorbs the chemical through the skin or inhales its airborne particles. In order to fully defend yourself and your family from the dangers of pesticides, it is important to outline what is meant by safety in this specific scenario. Ultimately, safety with respect to pesticides refers to the level of toxicity of a compound weighed against the risk of exposure to a non-target. The scientists who create pesticides work very hard to keep elements that are toxic to mammals out of their formulations. Still, though, there are traces of carcinogens, which are believed to cause cancer, present in some products. For instance, chlordane, a termite treatment, and DDT, a pest control, can be linked to the cause of a myriad of diseases. It is possible that at the time, the manufacturers and distributors of these products were ignorant to the harmful effects of their pesticides, but now that as a society we are aware of the health hazards associated, it is our responsibility to create safer products. So far, we have only spoken about safety from the manufacturer’s end of the pesticide product market, but that is not to make light of the consumer’s responsibility to safe practice. As previously mentioned, exposure to pesticides happens either through topical skin absorption, inhalation, or ingestion. The most common of these is dermal, or topical skin exposure. This is also the type of exposure that is easiest to prevent. 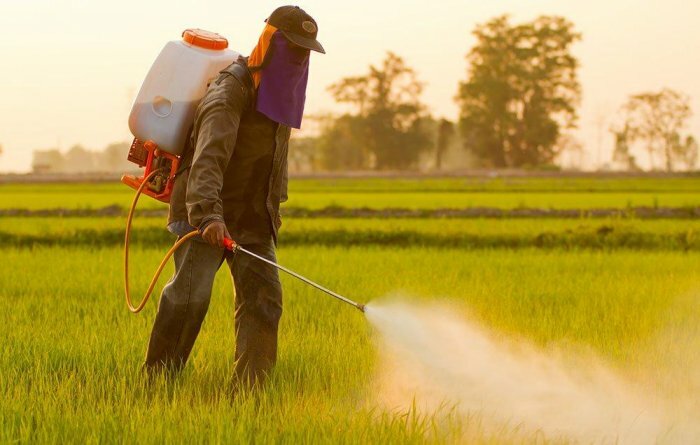 When applying aerial forms of pesticides, either through a spray, in powder form, or via fumigation, it is important to wear long sleeves and pants, chemical resistant gloves, enclosed shoes, and a surgical mask, if not a respirator. The second precaution you can take is as simple as reading the directions and other markings on the packaging of the pesticide. This might sound silly and an obvious piece of advice, but the fact of the matter is that many folks fail to appropriately review literature that comes with a new product. We also give manufacturer’s of these products the benefit of the doubt far too often, conceding to the idea that if it were toxic, it wouldn’t be on the market or made for use in the home. This is the kind of mentality that gets people hurt. Always read every word printed on the label of the pesticide you are using or any documents that are included. Somewhere on the label, there will be a warning that reflects the level of toxicity of the product, however, if you are unfamiliar with pesticides, you might miss the key completely. Words like caution, warning, and danger are not just synonyms for “be careful”, they are actually a part of a coded system. Products that advertise for users to exercise “caution” are the mildest in terms of toxicity. “Warning” is a bit more dangerous, and “Danger” tends to be used on the most harmful products with the harshest effects. Another precaution that can be made by the consumer is a consideration for the form of pesticide. Choosing a gel or solid instead of a fog or spray, which are easily inhaled, is advisable. If you are going with a spray, stay away from aerosol cans as they feature more chemicals and are more difficult to control. 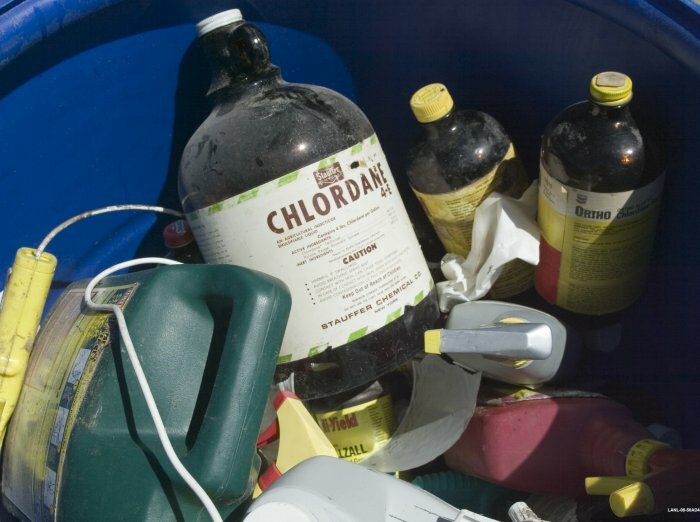 These are the most dangerous elements used in a variety of pesticide products. Even if you take all the right precautions concerning safety wear and pesticide form, it is a good idea to watch out for these. When we talk about the toxicity of chemicals in pesticides- the cancer causing properties and risk for cognitive issues- it is easy to become fearful of using them at all. One way to think about safe pesticide use is as analogous of prescription medication. Certainly, if we take too much we can get sick and the effects can even be fatal. But when we follow our prescriptions and take the correct dosage, these medicines are work extraordinarily well to promote our overall health. The same is true of pesticide use. Treat them with respect and go to the lengths necessary to take appropriate care and the safety of your family should never be at risk.